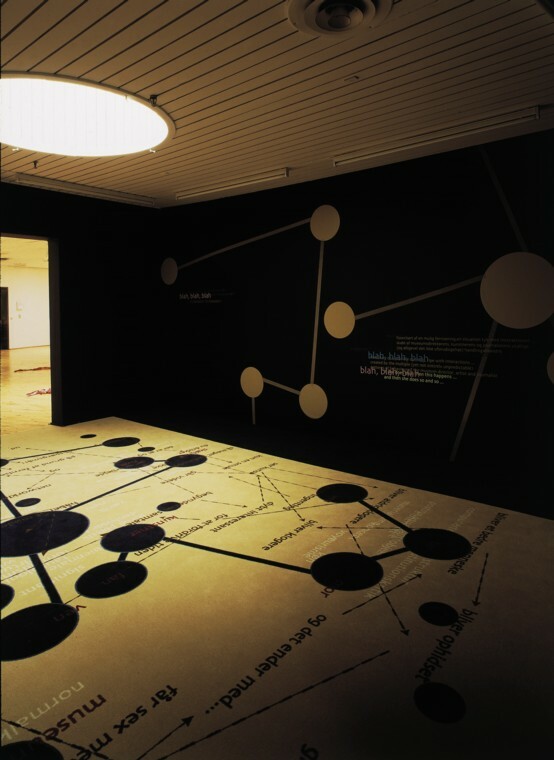 Installation view: Herning Kunstmuseum. Exhibited at Galerie Asbæk and Herning Kunstmuseum. Carpet, folio, drawings, tape 5 x 5 meters. Owned by Statens Kunstfond Denmark. 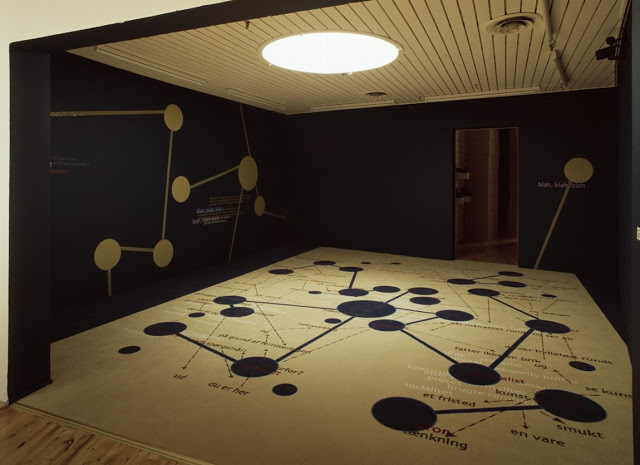 An exhibition opening described in this installation as a game in text as a diagram. The circles are people, the lines whom they are interacting with at a specific time, and the text describes their actions.